I’m not sure if I’m just late to the game or what, but I just discovered Lele Sadoughi and I am beyond obsessed. The entire collection is spectacular! The styles are sleek and modern and incorporate the most beautiful stones. The slider bracelets are my fave and I love these earrings. I don’t think I’ve ever found another jewelry designer that is so me. Which piece is your favorite? 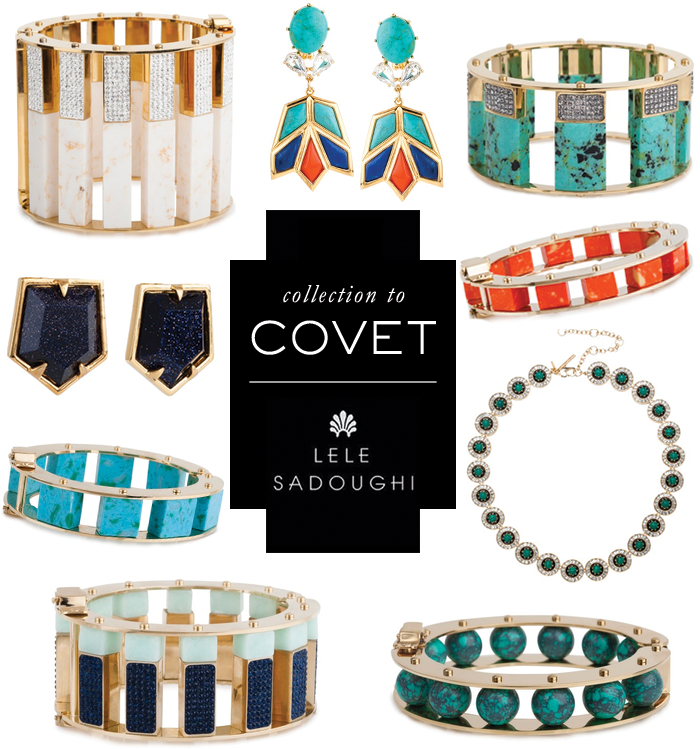 Click here to check out the rest of Lele’s stunning collection. i would love any of these pieces! !